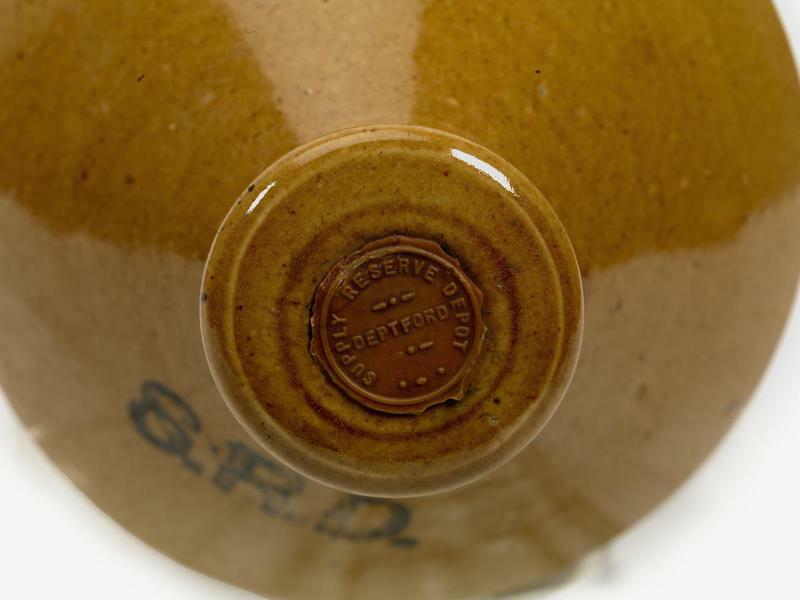 Rum was issued to troops from throughout Britain’s Empire during World War I. 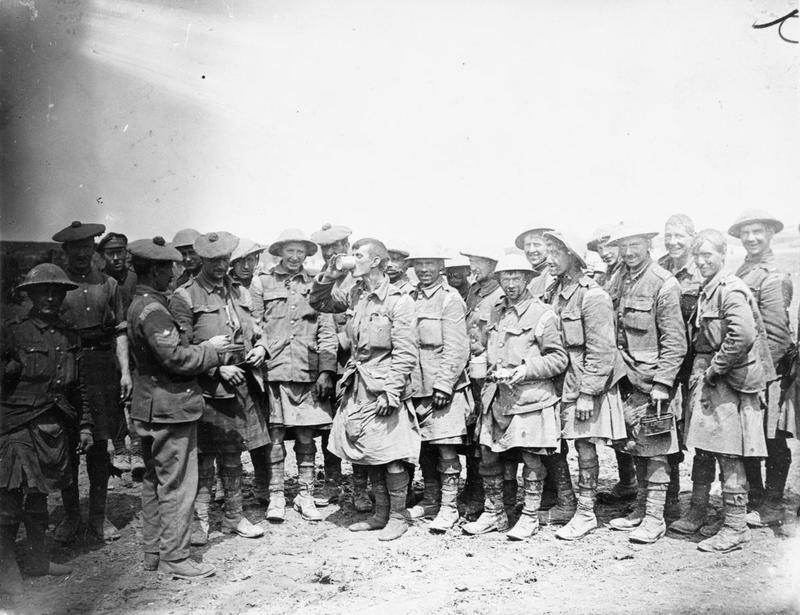 In this 1916 photograph, ANZACs of the 9th (Wellington East Coast Rifles) receive their daily rum. The British Army in World War I also consisted of troops from throughout the British Empire. Troops from Canada, Ireland, India, Australia, New Zealand, South Africa, and elsewhere all served on the Western Front. They would have been issued the rum ration and subject to the same regulations as their counterparts from the British Home Islands. Muslim soldiers from Britain’s imperial possessions would have been the main exception to the near-universal rum ration. And shouting in his face could not restore him. The ship of Charon over channel bore him. Rum and tea were often issued mixed together, as seen in this 1918 photograph of artillerymen from the 55th Division. In addition to the rum ration’s small size, enlisted soldiers resented the British Army’s hypocritical attitude towards alcohol and the British media’s penchant for prohibitionist hysteria. 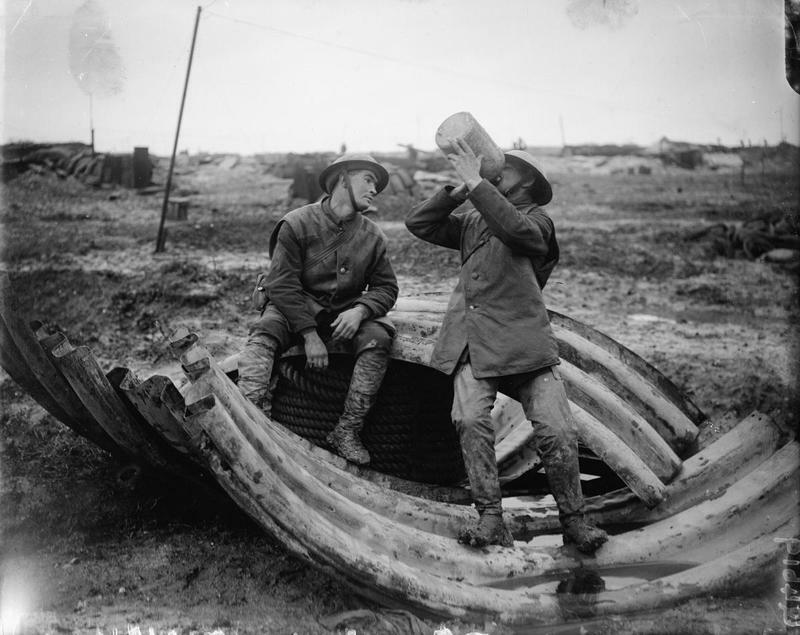 Officers were permitted to purchase liquor behind the lines and keep it in the trenches, but enlisted men were only allowed the rum ration within the trenches. When on leave, enlisted men frequented French establishments known as estaminets, which served as cafes, bars, and sometimes brothels. These served poor-quality white wine (almost always referred to in British memoirs as vin blanc or vin blang) and beer to enlisted men, but some proprietors were known to circumvent regulations by “hiding” liquor in coffee. Other establishments were limited to officers only. (One character in Frederic Manning‘s Her Privates We scoffs, “half of [the officers] don’t know whether they are drinking champagne or cider.”) If caught violating regulations, soldiers risked Field Punishment No. 1, a twentieth-century update to past punitive measures such as the stocks. 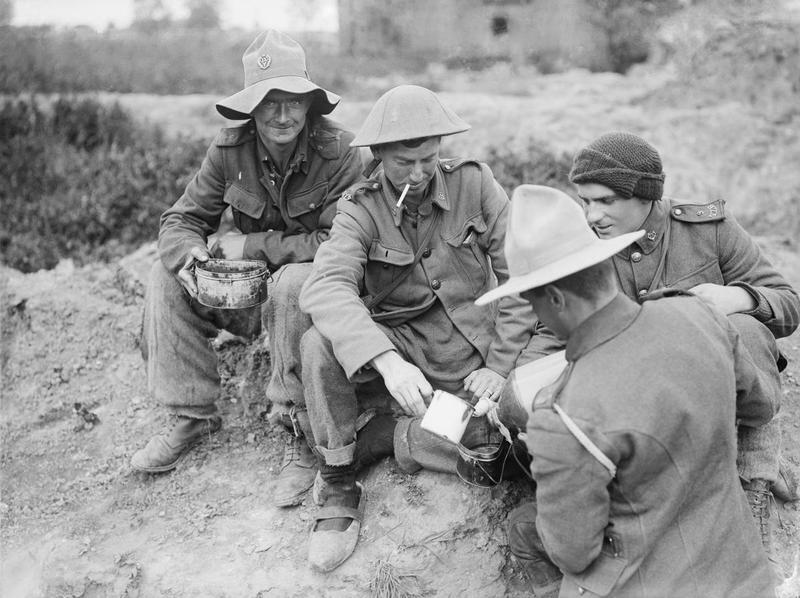 The British Army issued its rum ration in ceramic jars. These usually held either two gallon or one gallons. 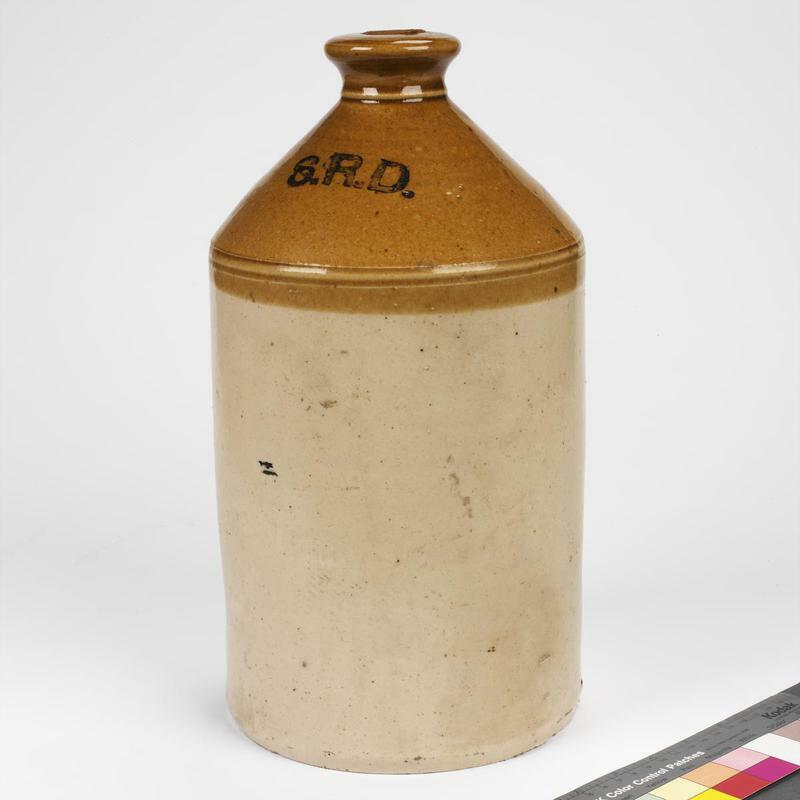 These jars were labeled with “S.R.D.” This officially stood for “Supply Reserve Depot,” but troops often joked that these initials actually stood for things like “Service Rum Diluted” and “Seldom Reaches Destination”. The efforts of generals who forbid the rum ration were not appreciated, and in this case, Pinney appears as the stereotypical conservative and tone-deaf “Donkey” so vilified in popular culture in Blackadder Goes Forth and outdated histories like Alan Clark’s The Donkeys. Nevertheless, generals like Pinney remained exceptions to the norm. Most British generals allowed the rum ration to continue throughout the war. Although widespread alcoholism was absent from the British front line, abuse did occur. Because officers could privately purchase liquor, it was easier for them to become intoxicated before attacks. Holmes recounts a story of one enlisted man becoming wildly drunk before an attack only to be bayoneted by his fellow soldiers because his shouting would alert the enemy. 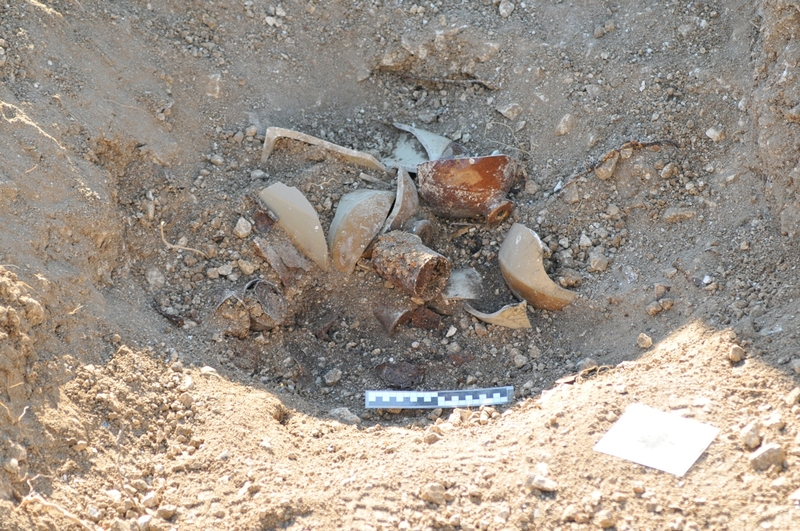 Archeologists from the La Boisselle Project uncovered these artifacts from a British trench in the Somme sector. 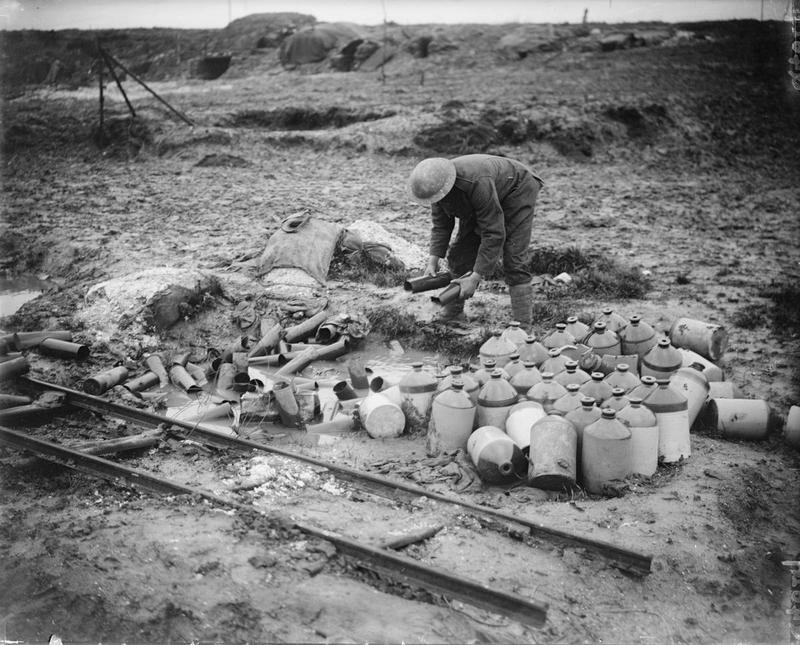 This image includes rum jars and various ration tins. Part 3 of this series will focus on the American Expeditionary Force (AEF) and its experiences with both prohibition and alcohol behind the lines. Thanks for the info Paul, this is something none of the secondary literature that I’ve come across on this topic touches on. In the case of the British, the official justification for the rum ration was almost always a claim about it being medically necessary for the harsh conditions at the front. This definitely fits in with your post. 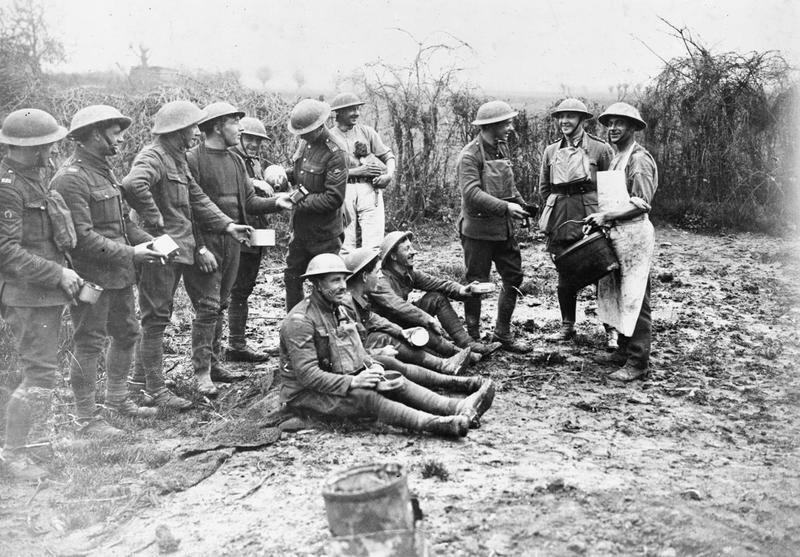 This is part two of a series at the Points blog by Nicholas K. Johnson on “alcohol, Drugs and the Great War.” The second installment focuses on the British Rum Ration and why it was important for British troops during the War.